Cottage Inn Pizza has long been a Michigan darling with its Ann Arbor flagship store winning the hearts and stomachs of its customers. More than 50 locations later and many years on, the pizza franchise continues to garner rave accolades through a platform made for the digital age: social media. 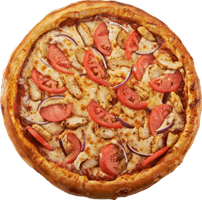 Cottage Inn Pizza is known for its gourmet pizzas and a crust made with a proprietary recipe. Its wide array of selections includes traditional varieties and more exotic fare such as Buffalo Chicken Bleu — light buffalo sauce, blue cheese and breaded chicken. Customers routinely post enthusiastic reviews on Cottage Inn Pizza’s Facebook page or through Yelp reviews. “Their pizza is always cooked perfectly whether you get the pan, deep dish, or thin crust, plus they have a whole slew of toppings to choose from,” says one Yelp reviewer. “Yum, I’m jealous, I need Cottage Inn,” says a Facebook fan as a response to a post about enjoying Cottage Inn Pizza at a country music festival. Social media posts recognize a whole slew of community-focused outreach events including providing meals at the Ronald McDonald House of Detroit. “We are so proud to have such wonderful locations and owners that continue to give back to their communities,” Cottage Inn posted. A sentiment that is echoed by Cottage Inn Pizza’s many adoring fans. Visit Cottage Inn Pizza and taste for yourself what our fans are raving about.